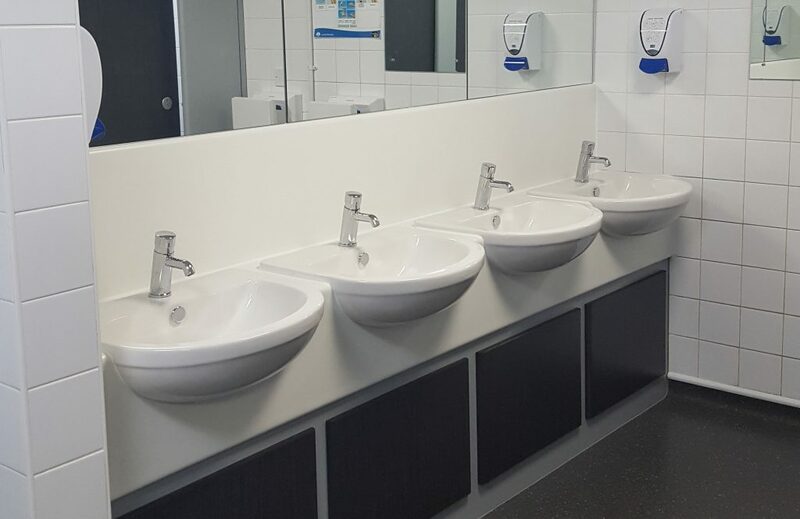 Following last year’s successful canteen fitout, Lamb Weston asked Acorn to return and refurbish its washroom and office facilities. 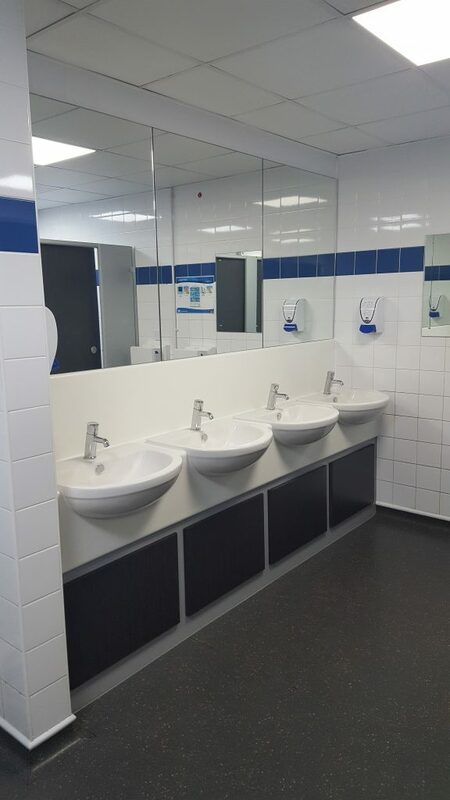 An extensive toilet refurbishment saw us give a renewed lease of life to the tiled walls which were deep cleaned until they shone like new again. Meanwhile we installed easy-to-clean, hard vinyl flooring, new vanity units, new cubicles and new toilet seats. Fresh paint, new mirrors and LED lighting were the finishing touches. The project was completed on time while ensuring that sufficient facilities were kept open throughout the work programme. The office refurbishment was a fast and efficient process, with all five first floor offices completed inside a week to reduce disruption. All furniture and the existing carpet flooring were removed before a new screed floor was laid, followed by easy-to-clean hard flooring throughout. The walls were made good, with the damage caused by numerous notice boards being repaired, before a fresh coat of paint was applied throughout. Finally the offices were fully cleaned before the furniture was installed back into the rooms ready for Lamb Weston staff.